The Sherman County local Artist Series is featuring Quilting by Paula King for the month of July at the Sherman County Historical Museum. Paula has lived most of her life in Sherman County. She grew up in Wasco and has spent the last 44 years with her husband Jeff in Grass Valley, Oregon. In 2006 at the local quilt shop, Lisa’s In Stitches, Paula made her first quilt and has been hooked on quilting ever since. Paula has become an accomplished quilt maker and said she received help from Nationally Published Quilter, Sharon Tucker whom she still works with on projects. Paula has taken many different classes over the years and wishes she had more time to dedicate to her quilting hobby. 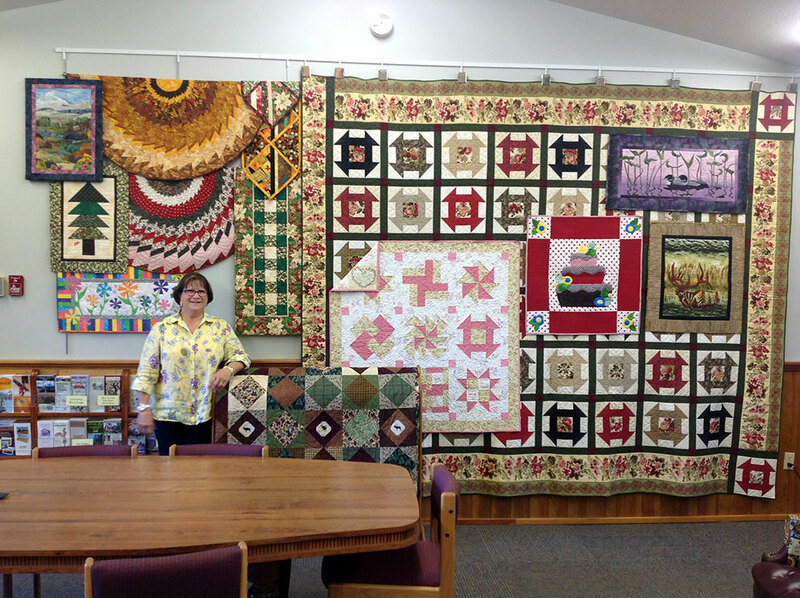 “This is something I enjoy very much…” Paula said when talking about her love of quilting. If you enjoy quilts and quilting projects that are beautiful you will not want to miss out on viewing Paula’s artwork during the month of July!